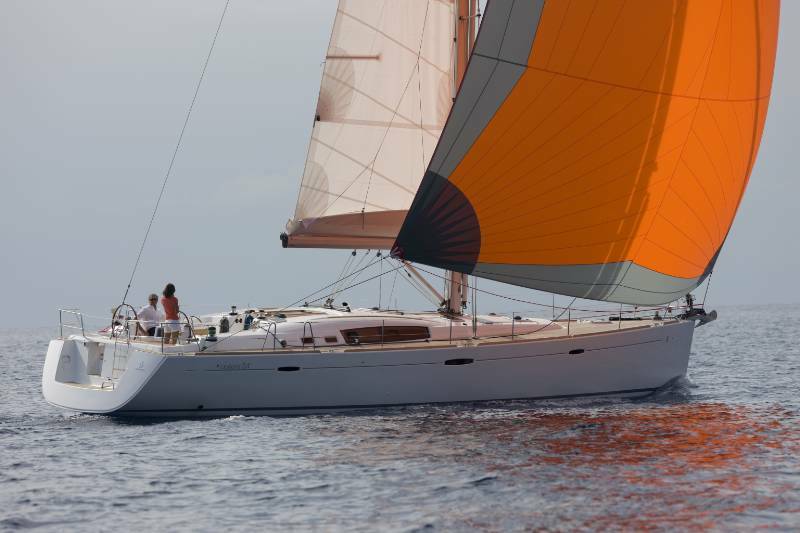 The Oceanis 54 by Beneteau is available for bareboat and skippered charters in the Mediterranean and is offered throughout Italy including Sicily, Tuscany and the Amalfi Coast. 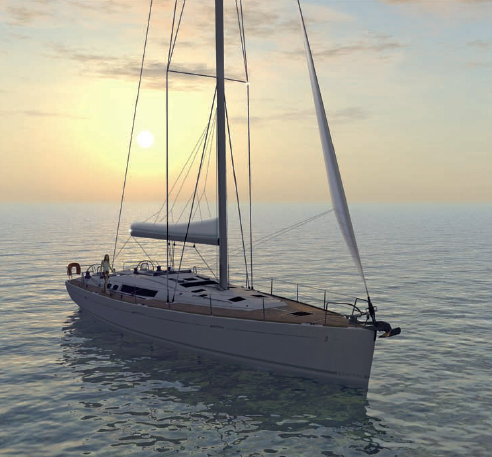 This magnificent yacht designed by Berret-Racoupeau offers Sea-going travelers maximum comfort and light to fulfill the promise of outstanding coastal cruising. 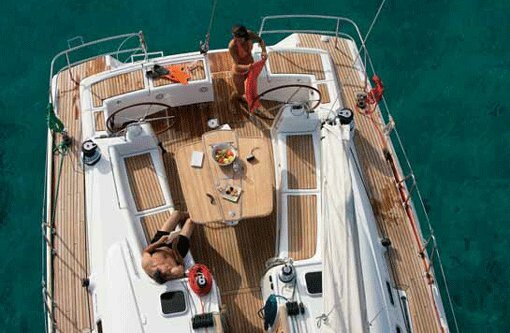 It is an efficient, easy boat to sail offering that balance between good cruising speeds and predictable, safe handling. 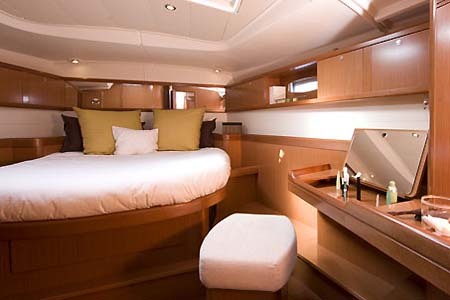 The hull ports and long coach roof windows bathe the interior in natural daylight. 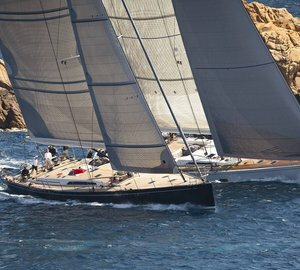 With a long effective water line and powerful sections the helm required little attention and the Oceanis 54 just trundles along as if on rails and is easy to sail shorthanded. 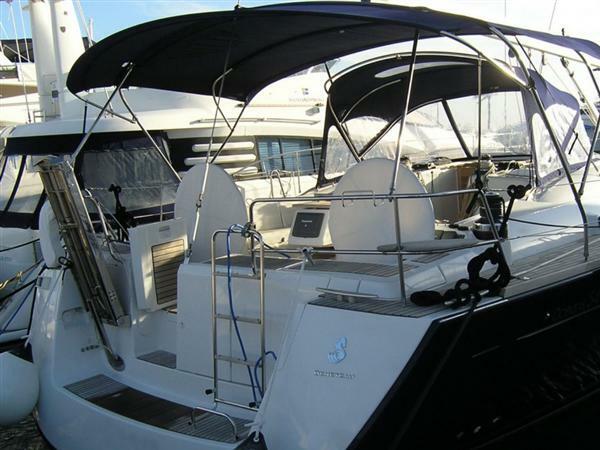 This yacht offers four double cabins with two symmetrical cabins forward and two aft. The 3 heads each boast separate shower areas. 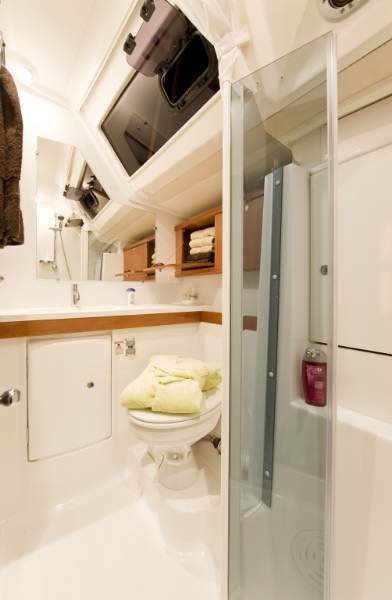 The bow is equipped with a single berth crew quarters, head and shower which are accessed through a deck hatch. 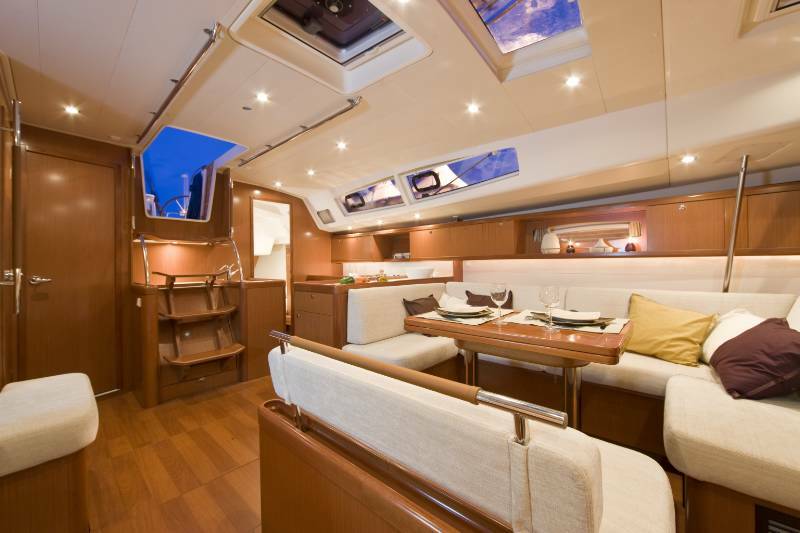 The main saloon is light, spacious and welcoming. The main table is to port with wrap-round seating on three sides, a straight bench settee opposite the table and a comfortable two person settee to starboard. The swivel foldaway saloon table allows for a double berth. 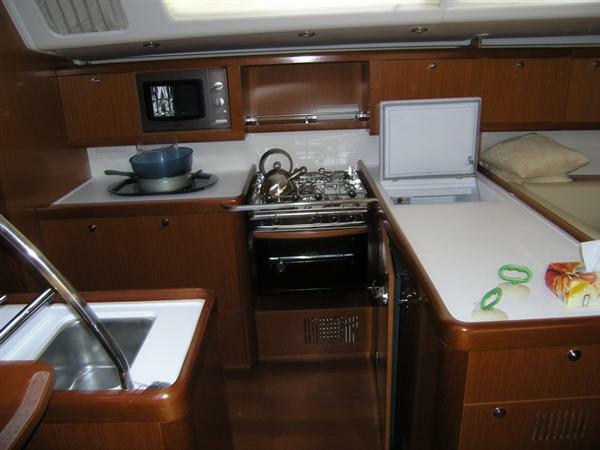 The galley is spacious with the sink space inboard at the bottom of the companionway steps, and an excellent level of space, working area and stowage overall. In the cockpit there is a full width bench seat behind the twin wheels with a large table for a very entertainment friendly cockpit. 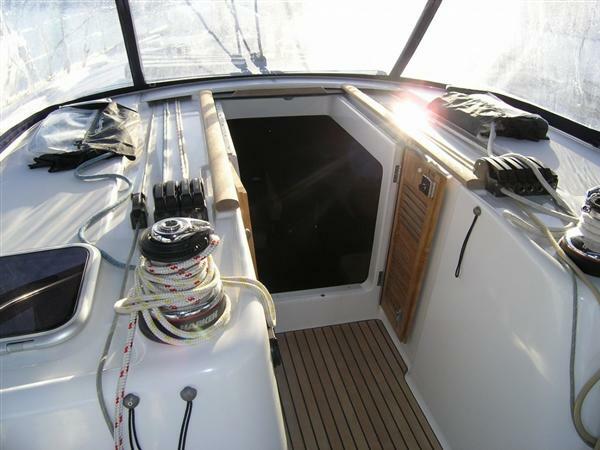 There is ample space for the helm to work and a lifting seat in the stern allows access. The main cockpit table is sleekly styled, cleverly supporting and protecting the main plotter and navigation display. She has a long cruising range thanks to the 256 gallons of fresh water and 125 gallons fuel capacity. 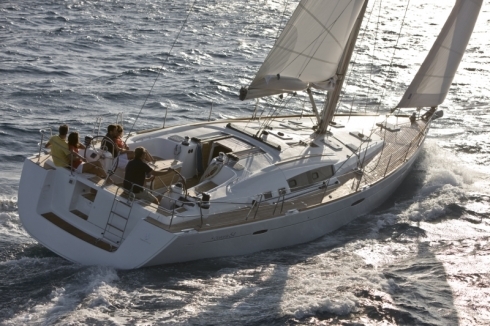 The spacious layout makes this the perfect yacht for family or group sailing! 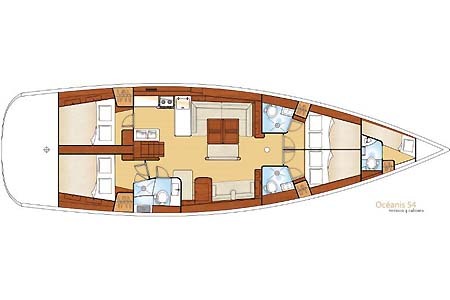 This yacht offers four double cabins with two symmetrical cabins forward and two aft. The 3 heads each boast separate shower areas. 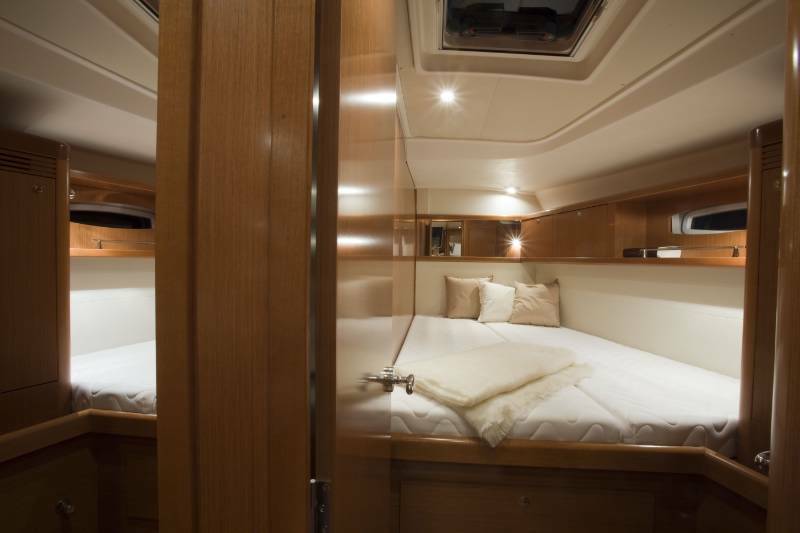 The bow is equipped with a single berth crew quarters with its own head and shower which are accessed through a deck hatch. The swivel foldaway saloon table allows for a double berth. 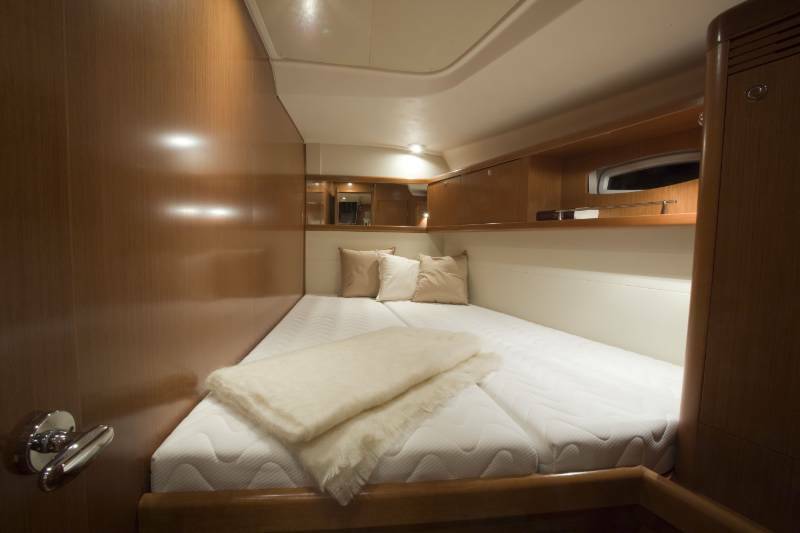 She can easily accommodate 11 passengers comfortably.